Size: 5.40 x 3.34 mt. 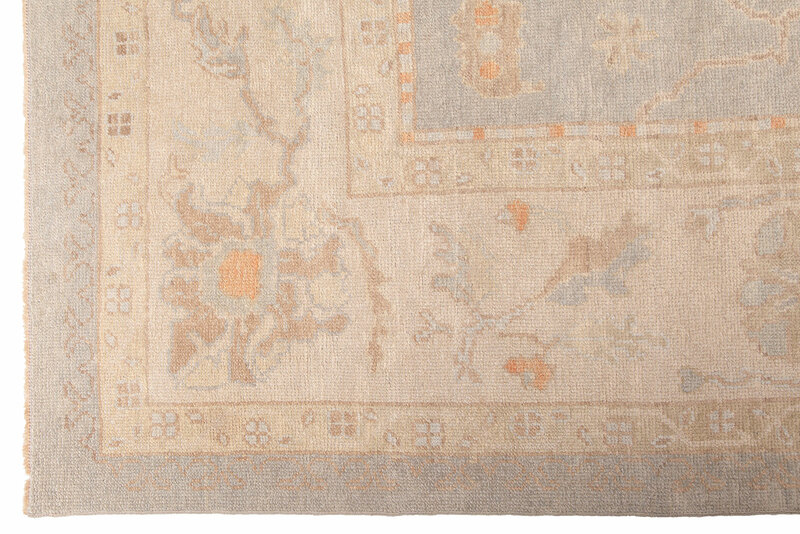 Almost from the beginning of the Ottoman Empire, Ushak has been a major production center of Turkish rugs. 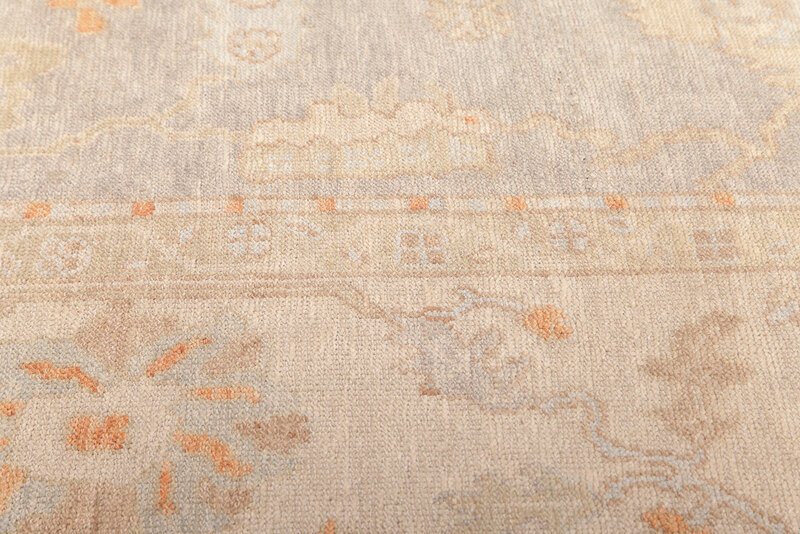 To this day these rugs remain one of the most elegant decorative carpets for their warm, soft coloration and superior wool, which balance the strength of their traditional design. These fabulous rugs usually feature an all over pattern, from leaves, vines and palmettes surrounded by geometric floral motifs. 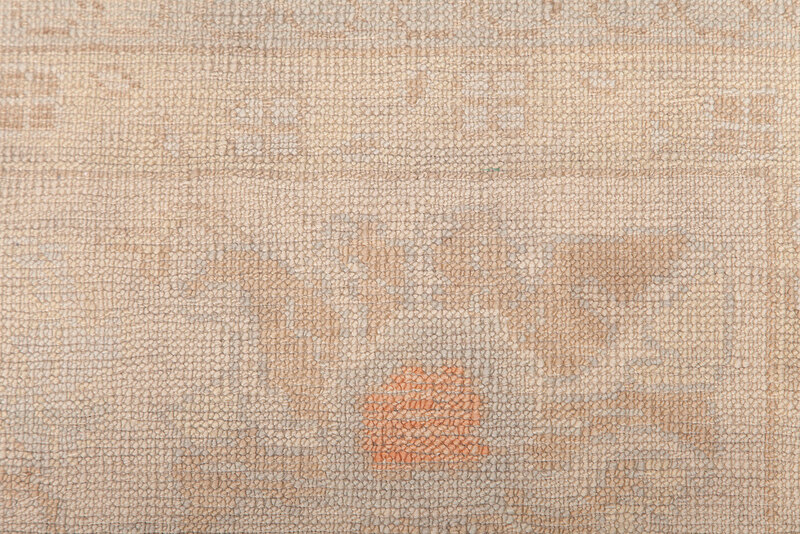 Ushak vintage rugs soft colors, loose knitting recall the beauty of carpets hand woven by Turkish nomads centuries ago. 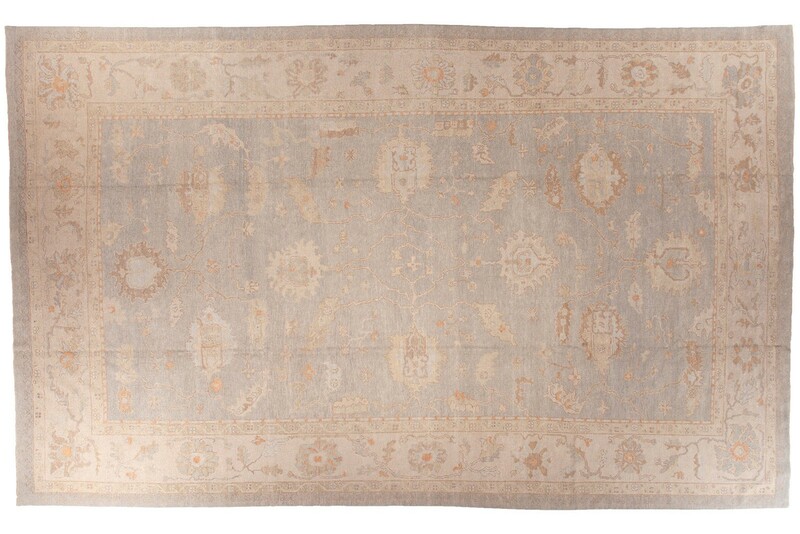 It is amazing that a rug so rich in pattern, texture, and history can blend so seamlessly into almost any decor even the most traditional or minimalist.